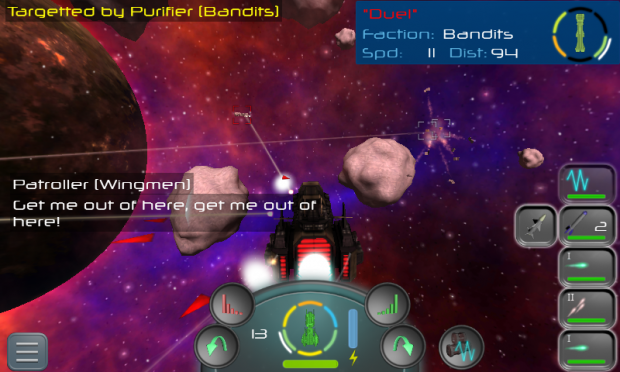 Interstellar Pilot 3D hit 10,000 downloads on Android today. Given that the game is in a soft launch (full game coming in August) we are pleased with the reception so far! Connect with us on Twitter - we always follow back fans & other game devs! Featured as an App of the Week & awarded "Best App Award" badge by Best Apps Market! Little did they know they were only reviewing a Teaser Demo. What happened with the game? The profile says: "released Jun 20, 2014" and nothing happened, no full or update, its a very good game, please don't stop working in it. is this going to be a PC thing to? I have an android, but always prefer PC. It will probably depend on the popularity of Android version. But a PC version is definitely a possibility! Thanks for your comment. nice gives me yet another reason to get an android phone:) IOS is terrible. While an iOS version might come eventually, Android was always the priority! Thx for the comment.